In a world more diverse and integrated than ever before, it’s not uncommon to hear criticisms of spaces and resources dedicated to particular group identities. We would love for this to be entirely true! 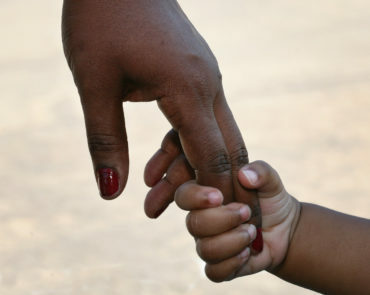 Wonderful resources exist for East African immigrants as well as for women in need of a safe and secure environment. However, in order to better build a sense of confidence, economic security, and physical safety within our flourishing community, we have an obligation to address the needs of East African women as a unique group with unique experiences. To better understand the need for resources catering to diverse communities, it helps to understand a bit more about intersectionality theory. Coined in 1989 by scholar and civil rights activist Kimberlé Crenshaw, this theory states that oppression cannot be viewed solely through one particular axis, but can only be accurately analyzed by taking into account all relevant power dynamics. For example, a poor woman of color’s life is not solely defined her gender, or her race, or her socio-economic status, but is rather influenced by an intersection of sexism, racism, and classism, all of which affect her life in unique ways and give her unique experiences. To address the questions posed earlier, we can now see the need for resources that take into account multiple systems of oppression. Understanding intersectional philosophy opens our eyes to the true effects that multiple systems of oppression can have on marginalized identities, and why we feel it’s so important to provide a space specifically for East African women. Here at Voice of East African Women, we use this concept of intersectionality to influence how we run our programs. 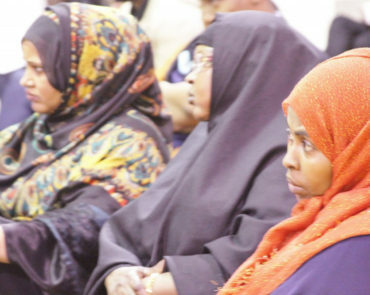 Our shelter Farhio House understands that East African women all have unique experiences that cannot be fully recognized by focusing on race, ethnicity, or gender alone. We follow culturally specific advocacy practices and an intersectional philosophy that allows us to empower the women who come through our doors. 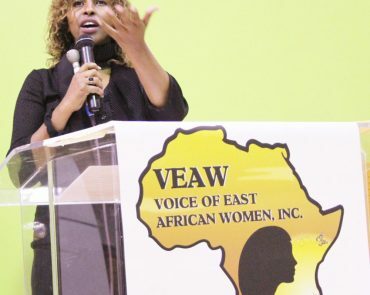 Whether it be through legal advocacy for women escaping domestic abuse, offering crisis hotlines in the native languages of East African communities, housing assistance for immigrants, and more, Voice of East African Women was created to specifically address the unique needs of East African women in the Twin Cities community. If you find yourself in need of assistance or would like to learn more about VEAW, please contact us.